Knit & purls. Simple texture can be so much fun, can't it? While I tend to go to the more complicated lace or cabled stitch patterns, sometimes it can be nice to get back to the basics. And that's exactly what I did with the Cyprus set in Stunning Stitches. 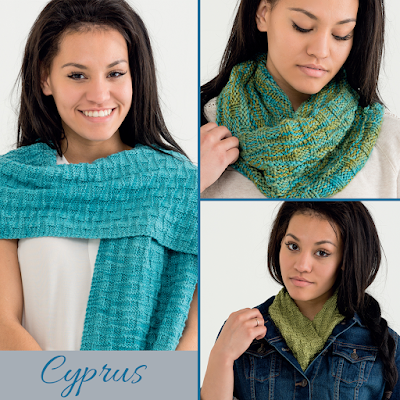 The Cyprus set features a stole, a cowl and a dickey, all knit in Lorna's Laces yarn. This set all started with an idea I had. I love the look of a scarf tucked into a jacket, but, honestly, I kind of hate the bulkiness the scarf can provide when tucked into a jacket. I don't need anything helping me to look extra bulky, you know? ;) So, the Cyprus dickey was born. The piece is started with a provisional cast on, and worked flat. Once finished you put the two right sides facing the same way (to get a true faux-scarf kind of look) and Kitchener stitch it together! The dickey is definitely the more difficult project in this set. 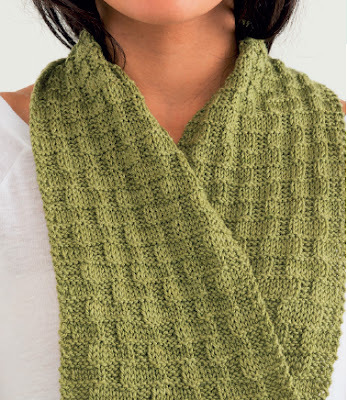 The other two projects are very easy, and perfect for the adventurous beginner or someone looking for some good "tv-time knitting." The stole is so cozy! You can easily adjust the pattern to make it more like a traditional scarf if you like. 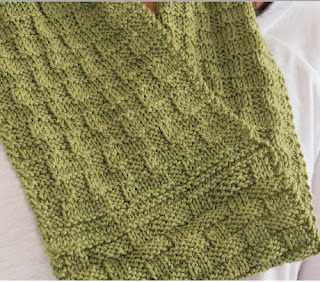 The cowl is knit out of a bulky yarn. It's super quick to knit. Just knits and purls in the round, and you'll have yours done in no time. 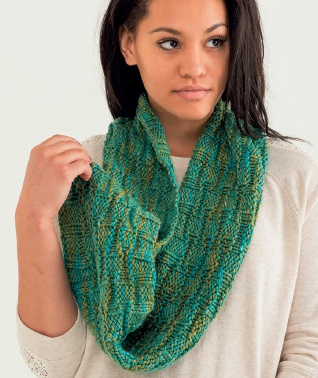 The pattern is also written for a smaller close-to-the-neck cowl too. I think any of these projects would be great for a gift for a friend or family member. Quick, easy, and beautiful!